SUCCESSFUL AND HELD HIGH REGARD. As a proposal type trading company, we constantly incorporate new technologies to provide cheaper and higher quality products. We will transmit product information for the future by environmentally friendly efforts. 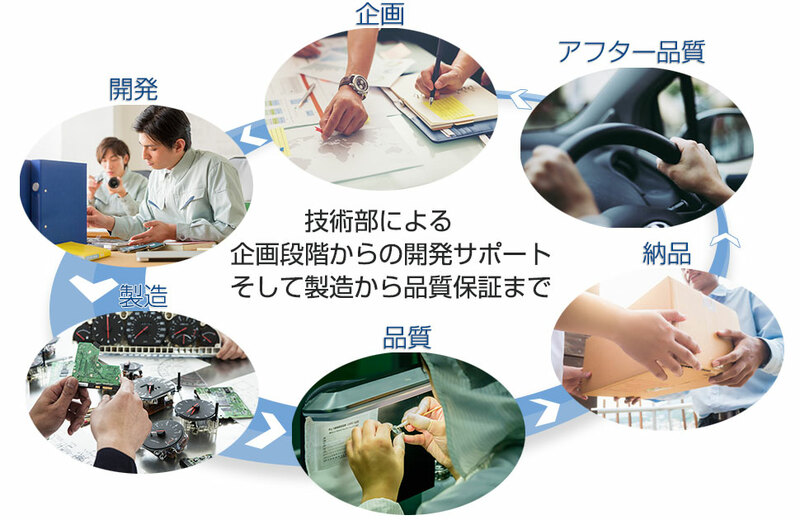 We propose new product development and cost reduction of existing products in various fields, not limited to automobile related, taking advantage of know-how accumulated in automobile parts from the consultation stage to mass production of the customer's requested products. We will also deal with difficult products in terms of structure. We also provide products that satisfy our customers with the quality assurance system based on ISO. © 大和産業株式会社｜ブレーキ部品と車内外照明部品 All Right Reserved.